Over the last few weeks I’ve been working with Lego Duplo on their latest campaign called How Do You Play, which runs for the next couple of weeks on Lego Duplo’s Facebook page. It’s really easy and fun to enter. Simply let your children get creative with their Lego Duplo, capture their play in a short film and upload it through the How Do You Play app on the Lego Duplo Facebook page. Each week people can vote for their favourite videos and weekly prizes are awarded to the top three video participants and three voters who are chosen at random. The final winner wins an amazing family trip to Legoland Billund! To encourage my lovely readers to get involved I have been given a fun set of Lego Duplo to giveaway to one lucky reader. Bake up some Lego Duplo building fun with the Creative Cakes building set’s pretty pastel pieces, perfect for tea parties! My 2 year old received this set for Christmas and it’s one of her favourite sets, she loves to make different cakes, sing happy birthday and pretend to blow the candles out! It’s perfect for little ones aged between 2-5 and contains 55 pieces which are perfect for hours of creative fun. 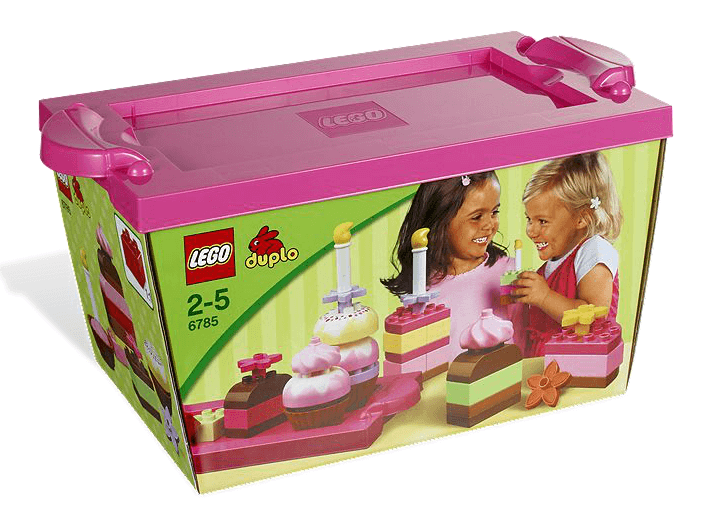 For your chance to win a Lego Duplo Creative Cakes set just complete the Rafflecopter form below. You must answer the question and leave a blog comment to enter, there are a couple of bonus entries too. 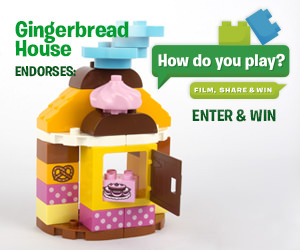 And don’t forget to enter the competition on the How Do You Play app on the Lego Duplo Facebook page for more fun prizes! My daughter would have loved this Duplo set when she was a toddler, it sounds like an excellent toy. There are 55 pieces. We’re new to Duplo. Little Miss got a starter set for recent birthday and loves it but the cake set would go down especially well. There are 55 pieces and my daughter would love this! 55 pieces sorry fat fingers not proof reading! 55 pieces x my grandaughter would love this!! There are 55 pieces, love Duplo. Looks like a great set. 55 pieces. What a lovely giveway I am sure any kid will love it. there are 55 in the set. 55 pieces, my little lady would love this! 55 pieces – looks lots of fun. 55 piece, great prize ! 55 pieces, would love this! 55 Pieces in the set! 55 pieces, and i would just love this for my son! 55 pieces – my daughter would love this set! 55 pieces, my little girl would love this! 55 pieces 🙂 My kids would love this! 55 pieces. Nice blog btw. First time i’ve been on. 55 pieces in a set! !